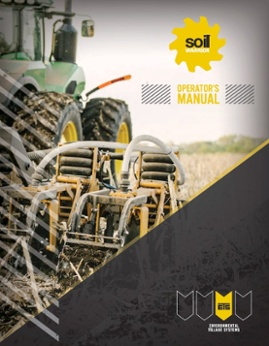 ETS recommends that owners read and understand this manual before operating their SoilWarrior system. 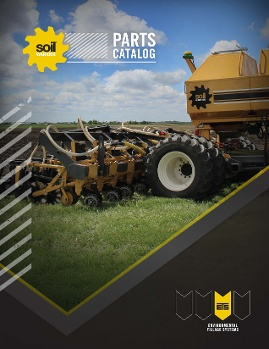 Reference this catalog when ordering parts for your SoilWarrior: cart assembly, toolbar assembly, row units, tank assembly, meter systems and other components. 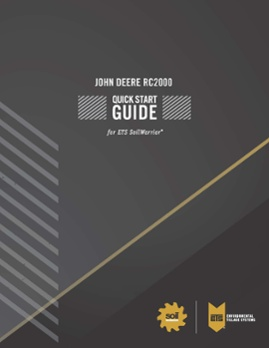 This Quick Start Guide will show you how to set up the SoilWarrior using the John Deere RC2000 display. 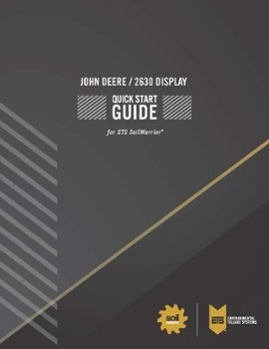 This quick start guide will lead you through the setup of your dry or liquid SoilWarrior System using the John Deere 2630 display. 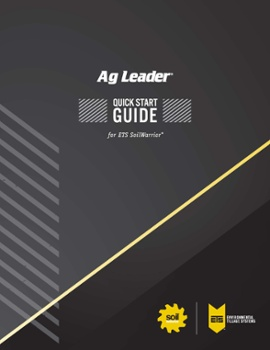 This quick start guide will lead you through Grower/Farm/Field, Implement, Product, Guidance and Mapping setup of your SoilWarrior using the Ag Leader display. 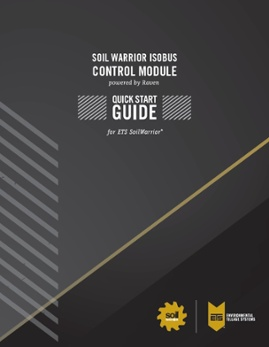 The SoilWarrior ISOBUS Control Module Quick Start Guide will guide you through dry, liquid and NH3 product setup for the SoilWarrior.